Head high into the Himalayan mountains with a pair of animal spirit guides in Chi, a 5 reel, 27 payline win both ways video slot from ELK Studios. Superbly designed, it comes with plenty of extras. Highlights include the 2 features. There are free spins with sticky wilds and multipliers and a cash trail bonus. Play on your PC, tablet or mobile from 20p and £20 per spin. The design in Chi is traditionally done. As usual for an ELK Studios game, the visuals are very high spec. Central to the best action are the 2 spirit animal guides – Chi and Mow. This pair can deliver between 2 and 6 wilds or multipliers of up to 5x if the totems align. The game comes with a pair of triggered features. Free Spins feature – this round becomes active by landing 3, 4 or 5 of the Free Spins scatters on the same spin. Your reward is 10, 15 or 20 free spins which come with some pretty tasty extras too. Chi can deliver sticky wilds. Any of these that hit lock in place for any free spins you have left. Mow can get in on the act too. Each bang of the gong increases a multiplier which can again top 5x. Re-triggers offer the chance of landing more free spins here too. Stairway to Fortune Bonus Game feature – the second round is a cash trail bonus which is triggered by landing 3 Bonus symbols on the same spin. Working your way along the cloud path delivers coin multiplier prizes. The trail can lead to Fortune Reels where even more prizes are on offer. An arrow on the top reel can delivers bonuses of 10,000 times your total on top of what you’ve already won – there’s up to 12,500 times your bet to be won in total from this feature. ELK Studios has created an unusual game in Chi. The cartoon-style visuals are as impressive as you’d expect from 1 of their offerings. The features offer something a little different though. There might be a bit of a cutesy look to the design but don’t be fooled. This is a very volatile game. 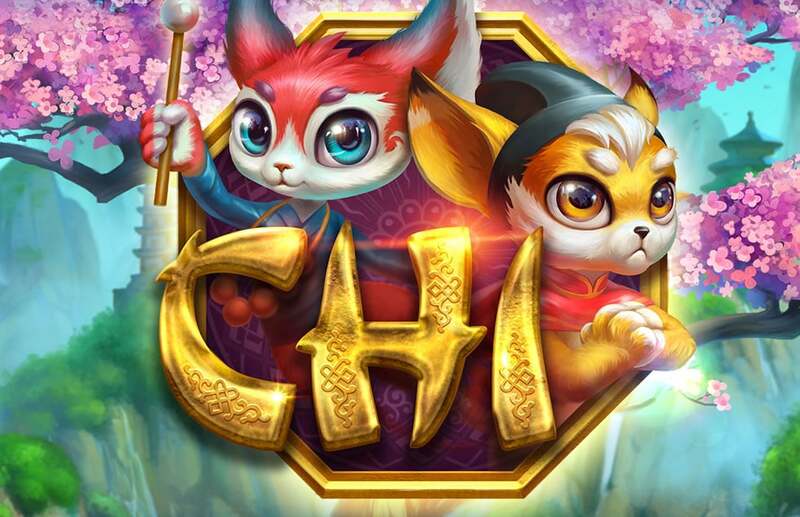 If you’re looking for a video slot with an Asian flavour that combines classy sound and visuals, plenty of extras and high variance, then Chi is a Himalayan trek well worth making. Video slots with a similar theme include Play ‘N Go’s Pearls of India and Quickspin’s Hidden Valley.